My seven year old son loves watching his dad to maintenance on our vehicles so he was thrilled to get more hands-on experience with the Worx Toys Speedster Car. This educational toy is also a ton of fun as kids can see all of the parts of the car through the transparent exterior. The model car includes an interactive picture book including factual information and illustrations which take the “driver” on a guided tour with special codes that bring the Speedster Racecar to life by revving the engines and turning on the lights and horn. How does it work? Adam reads the story book which explains how a particular part of the car works and then he enters the sequential code on top of the car to watch is come to life. He loves looking at the engine, cooling and exhaust systems, dash board and more. He especially enjoyed “teaching” us how the brakes work and was thrilled to discover that he could lift open the doors and take off the wheels. Worx Toys are recommended for ages 6 and up and there is a choice of the Speedster Racecar and Torch Fire Truck. 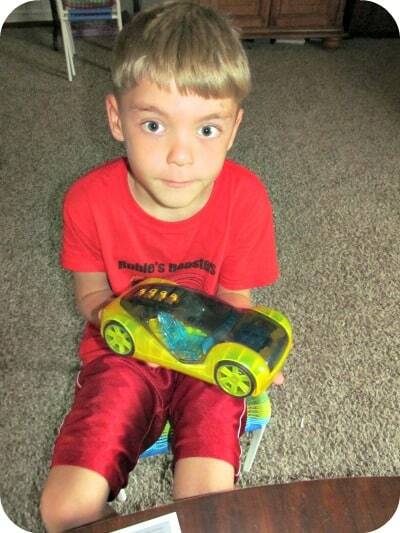 My son plays with his Worx Toys for an hour at a time and it is one of his favorites. I love that he is learning about the workings of the car and has even impressed my husband with his newly discovered “knowledge”. Worx Toys inspire creativity and makes learning fun! You are invited to visit the Worx Toys website to browse the entire collection of toys. 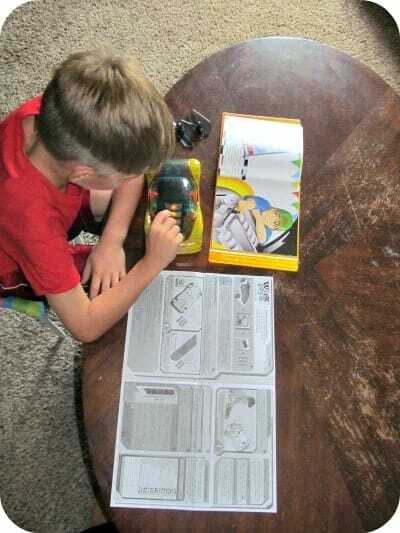 These would be excellent gift ideas for the young builders, designers, mechanics and engineers of the future……..products are available for purchase at online retailers including Toys R Us, Sears.com, Kmart.com and more. Connect with Worx Toys on Facebook too! How cool! I had never heard of this but your review really explained it well. My husband works on and restores cars, and my grandson loves helping him. He is always asking how the car is coming along and gets excited. This really sounds like a fun and educational toy. My grandson would love this! He loves anything to do with cars and motors! 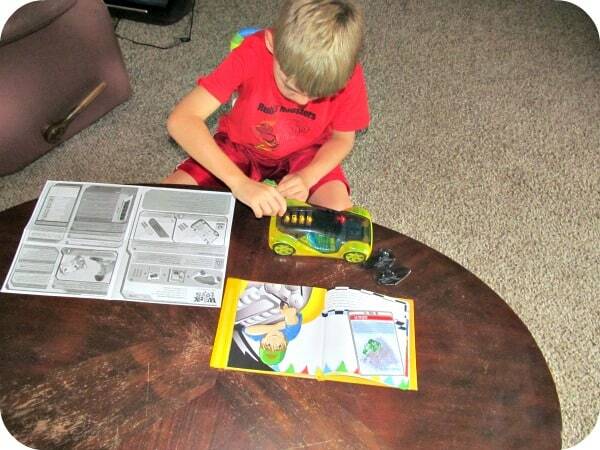 My grandson loves to take things apart and put them back together and he also loves cars. This would be great for him for Christmas too. His dad does alot of mechanical stuff and he like to watch him and do what he does. I like that they can see how the brakes and stuff work inside.